Judy Small, Mothers, Daughters, Wives interpretata da The McCalmans / performed by The McCalmans. 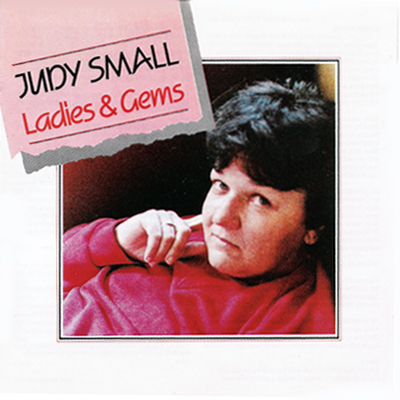 "Judy Small is one of the most influential singer-songwriters to come out of Australia. Her songs, which include one of the hardest-hitting looks at the effects of war, "Mothers, Daughters, Wives" and the ecologically-minded tune, have been covered by Eric Bogle, The McCalmans, The Corries, Quote "writer of some of the most powerful social and political songs of our time"
Judy Small è un'autentica leggenda del cantautorato australiano, ma il suo nome continua a non essere noto al di fuori di quel paese nonostante Mothers, Daughters, Wives sia stata ripresa e interpretata da Eric Bogle, Arlo Guthrie, Pete Seeger, The McCalmans, Ronny Gilbert e The Corries. Greenham Common Women's Peace Camp was a peace camp established to protest at nuclear weapon being sited at RAF Greenham Common in Berkshire, England. The camp began in September 1981 after a Welsh group called "Women for Life on Earth" arrived at Greenham to protest against the decision of the Government to allow cruise missiles to be based there. On 1 April 1983, tens of thousands of protestors formed a 14 mile human chain from Greenham to the Aldermaston nuclear power station and the ordnance factory at Burghfield. On 4 April 1984, the women were evicted from the Common by Newbury District Council. However by nightfall the women all returned to reform the camp. The last missiles left the camp in 1991 but the camp remained in place until 2000 after protestors won the right to house a memorial on the site. Il Campo della Pace delle Donne di Greenham Common era un Campo della Pace formato in segno di protesta contro le armi nucleari in corso di installazione presso la base aerea della RAF di Greenham Common, nel Berkshire, in Inghilterra. Il Campo ebbe inizio nel settembre del 1981 dopo che un gruppo gallese, chiamato "Women for Life on Earth", era arrivato a Greenham per protestare contro la decisione del governo britannico di consentire l'installazione dei missili Cruise. Il 1° aprile 1983, decine di migliaia di manifestanti formarono una catena umana lunga quasi 20 chilometri da Greenham fino alla centrale nucleare di Aldermaston ed alla fabbrica di pezzi di artiglieria di Burghfield. Il 4 aprile 1984 il campo fu fatto sgomberare dal Consiglio Comunale di Newbury; ma, la sera stessa, tornarono tutte quante per riformarlo. Gli ultimi missili lasciarono la base nel 1991, ma il Campo delle Donne per la Pace rimase sul luogo fino al 2000, quando le sue promotrici e partecipanti ottennero il diritto di erigervi un monumento commemorativo. This song book is a reprint ... of a reprint, beginning its life with us in Manchester over a year ago! Remember the little yellow flip-over? We began with a copy of one of the many personal collections kept by Greenham women around the world. Other songs were added. It was completed in time for the last December 12th. Later, came the comments: why not an index? no music? no guitar chords? Prompted by a need to challenge the invitation and sponsorship of a MAN to represent women's experiences in a musical narration - 'Gates of Greenham' at Manchester Free Trade Hall, we began re-working Greenham's song book: The intention was to present at least a part-record through song and graphics, a women's experience of Greenham, BY WOMEN, to sell before and after the performance. Unlike Tony Biggin, we had NO sponsorship then, the 100 copies soon ran-out. There were requests for more. And reminders ... weren't there still some songs missing ?! So ... here's the next edition!! There's been lots of women involved one way, or another: women writing songs (and adapting well known 'men's songs); women inspiring songs, listening, joining in, collecting songs, singing for music- writing, writing-out words, collecting graphics from old leaflets and newsletters, pasting-up and collating ...funding other women to pay a Manchester Women's press. All round, lots and lots of us!! And none of us named: We had many discussion about this. Finally, we felt, because it would be impossible to name all women, many unknown to us, and the fact that the book is not a money-making venture, no 'credits' list should be added. All we can say is ...haven't we all done well! We hope to create a tape of at least one verse of every song for those who are blind or don't find the music helpful. This will hopefully be created at Orange Gate on December 12th. Copies of the tape will then be available from addresses below at £1. per copy to cover tape and postage costs... the message has to be, songs are for all to sing, and we can all join in, however unpractised our voices are, if we have the words and an idea of the tune. c/o 411 Manchester Road, Leigh, Lancs. or 42 St. Hilda's Road, Old Trafford, Manchester 16. Please send enough to cover cost price £1.50 and postage. Donations welcome. Because sponsorship has been received, all monies received will go to Greenham. [Some of the songs in the songbook from Greenham Common had appeared in the Anti-nuclear songbook published by Mushroom Bookshop and Peace News in Nottingham and in the A Greenham Song Patchwork. Please make copies and give them to others. 24. Which Side Are You On? 54. Who are the Witches? Marched away with drums and guns. And you never thought to question. You just went on with your lives. Through the lists and lists of dead. That mothers kissed each night. And silent strangers from the fight. With children of your own. And the soldier boys were gone. And tended to their wounds. And prayed for safe returns. When you'd done the work of men. And you never trod on toes. Struck a happy family pose. And your little boys to men. When the call came up again. As they bravely waved goodbye. And in time the photos fade. And reflect on the parade. Than just mothers, daughters, wives. e non avete mai fatto domande. tra elenchi e elenchi di morti. sconvolti e silenziosi tornati dalla guerra. quando già avevate i vostri figli. e i ragazzi se ne andaron via soldati. e gli fasciavate le ferite. e pregavate perché tornassero sani e salvi. dopo aver lavorato come uomini. e non pestavate mai i piedi a nessuno. mostravano una famiglia felice in posa. e i vostri bambini degli uomini. quando sono stati di nuovo richiamati. mentre loro salutavano valorosamente sventolando i fazzoletti. e, col tempo, le foto si scoloriscono. e ripensate a tutto quel che è successo. che essere madri, figlie e spose. Di essere solo madri, figlie e spose. et vous n'avez jamais posé de questions. à n'être que des mères, filles et épouses. parmi des tas de listes de victimes. bouleversés et silencieux revenus de la guerre. et les garçons partirent à la guerre. et priiez pour qu'ils reviennent sains et saufs. après avoir travaillé comme des hommes. et ne marchiez jamais sur les pieds de personne. montraient une famille heureuse en pose. quand ils ont été encore mobilisés. et le temps décolore les photos. et repensez à tout ce qu'il est arrivé. qu'être des mères, des filles, des épouses. de n'être que des mères, filles et épouses.